Jalpaiguri: The state government has decided to introduce integrated packages for visitors staying in tourism department lodges in Jalpaiguri so that they can enjoy cultural performances by local folk groups during their stay. Sources in the district information and cultural affairs department said the facility would be launched at the tourist lodge in Murti, on the fringes of Gorumara National Park in the Dooars, at the end of this month and would be gradually extended to other centres. 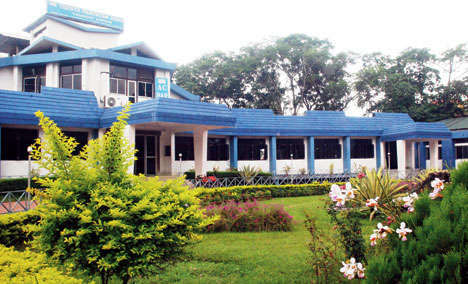 In Jalpaiguri, the tourism department has lodges at Malbazar, Jalpaiguri, Murti and Tilbari, besides a tourist centre at Batabari. "Recently, a meeting was held among officials of the Jalpaiguri district administration and the state tourism department. It has been decided that each folk artiste will be paid an honorarium of Rs 1,000 for a performance and would also be provided with transport and refreshments by the department," said a source. "The information and cultural affairs department will coordinate with the managers of these lodges and will send cultural troupes in the evening hours for the entertainment of tourists," the source added. As of now, local dance troupes perform in some of the private resorts located near the Gorumara National Park, particularly in Lataguri. "For tourists, it would be an integrated package where the cultural performance would be included in their itinerary. While tourists will enjoy variety during their trips, new options will additional earnings would be created for these cultural troupes," said Sumedha Pradhan, additional district magistrate (general) of Jalpaiguri. Once the new service starts, the lodges will provide details of the artistes - folk singers as dancers - to tourists every day. In the district, sources said there were around 800 folk artistes are enrolled with the information and cultural affairs department. "The facility is available in the accommodation run by the state forest department in the Dooars," said a tourist department official. The state government has decided to introduce integrated packages for visitors staying in tourism department lodges in Jalpaiguri so that they can enjoy cultural performances by local folk groups during their stay.